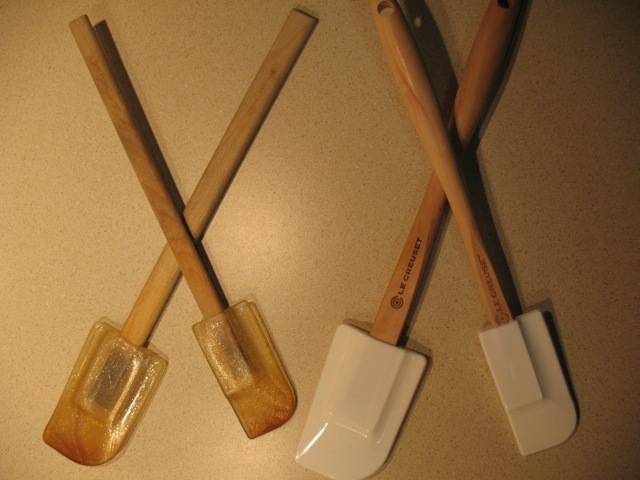 Tonight I said goodbye to my Le Creuset spatulas (on the left), two of my favorite cooking utensils that I've used almost every day since I got them I don't how many years ago (it's been a long time). Browned, cracked and with a permanent garlic odor, their time had come. On the right are their nearly identical replacements that I picked up from Sur La Table this afternoon. How many times did I wash those spatulas? And now they're gone.